Our Commitment to Bees! | Bowman's Pro Turf, LLC. Over the last several years a lot of focus has been put on the health of pollinators and more specifically, bees! We have the same concerns as everyone when it comes to keeping our pollinator population healthy. We are excited to announce that Bowman’s Pro Turf, Co. and Bayer are partnering together to help protect the pollinator health in the Wabash Valley! Together with Bayer, we are offering the opportunity for all of our customers to be involved in the Feed A Bee Initiative. We are very excited that in 2016, we will be providing all of our customers with a packet of pollinator wildflower seeds through the Feed A Bee program. We want to share these seed packets with as many people in the Wabash Valley to help spread the awareness of the importance of pollinators and bees. 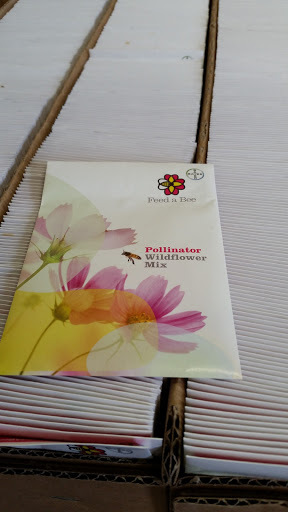 These seed packets are intended to be planted in the flower beds of homes all over the Wabash Valley to help promote bee health and pollinator population growth. Bayer had a goal of planting 50 million wildflowers for pollinators and to date they have planted over 65 million. We are proud to be a part of their initiative to help grow that number! There are several ways that we actively work to protect pollinators. 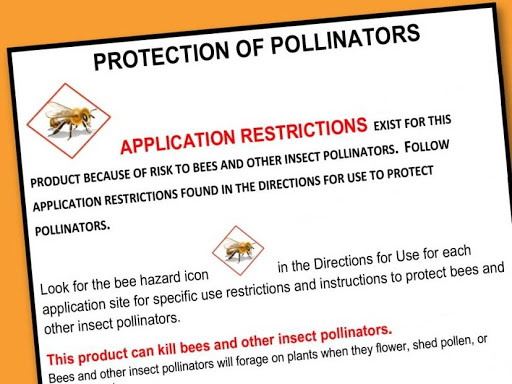 Read and follow all labeled instructions- The EPA issued new labeling instructions specific to pollinators. Below is an example of what this looks like. It is very important for ANYONE who uses any type of pesticide to follow all label instruction. The label is the law and if it is not followed properly, the damage done harms more than the environment. Apply products at appropriate times- We work to ensure that when we apply products that they are applied at a time when bees and other pollinators are not foraging. Most pollinators like to forage for food during the hottest times of the day. We are always looking for pollinators during our applications and make sure to avoid applying products that would potentially cause harm when they are most active. Attend education sessions about pollinators- To maintain our pesticide applicator licenses we must attend educational sessions to stay current on what is happening in the industry. During these sessions we gain valuable information about how to best protect the environment while providing our services. 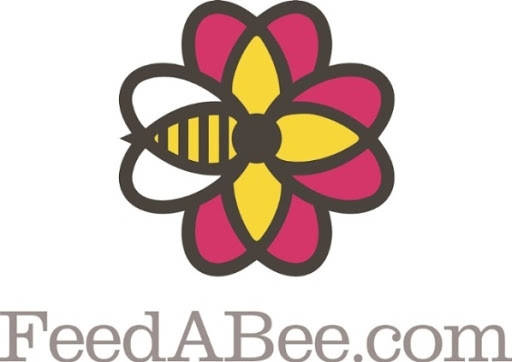 If you have any questions about how you can become involved in the Feed A Bee initiative, please let us know. You can also visit their website here. ← Is your lawn care company licensed?